400 lb Capacity - SHIPS FREE! 600 lb Capacity - SHIPS FREE! 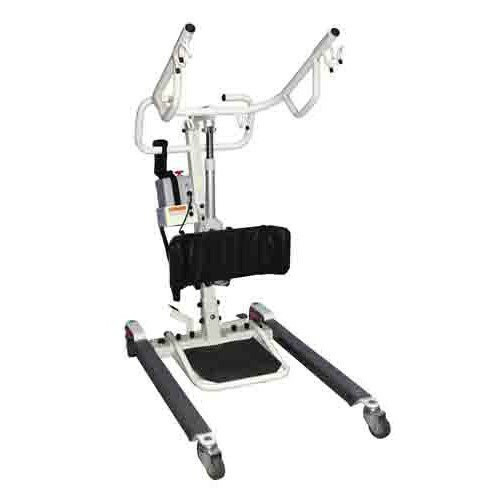 Electric Stand Assist Lift manufactured by Medline is an easy-to-operate, battery-powered Patient Lift that is durable and safe. 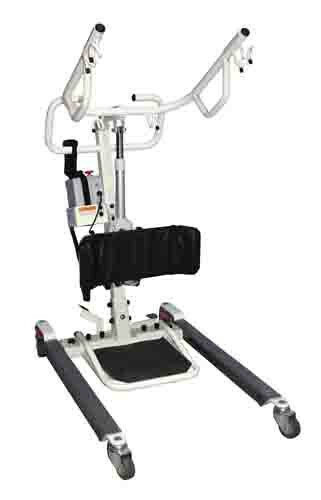 The Electric Stand Assist Lift has battery-powered assists available in both 400 and 600 lb (181 and 272kg) lift capacity versions and both are appropriate for patients who have some weight-bearing capacity, as well as some joint flexibility but still require smooth transportation to and from a wheelchair, bed, commode, bathtub or chair. 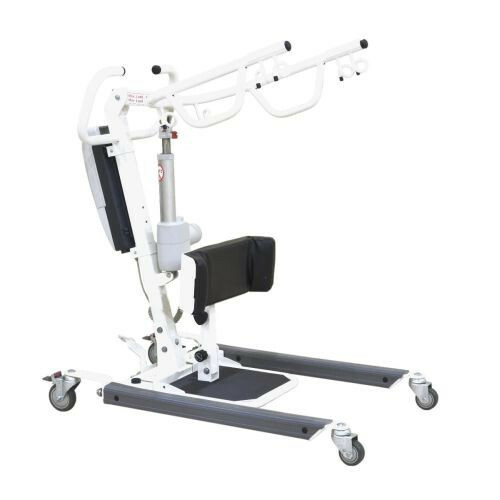 With its removable foot platform, the Electric Stand Assist Lift also provides a great avenue for gait training. A great new feature to the Electric Stand Assist Lift is the removable battery pack, which makes for convenient off-board charging. Medline also manufactures several other Patient Lifts, such as the Manual Hydraulic Patient Lift or the Powered Base Electric Lifts.